If you need help with any of my products, you're in the right place. I pride myself on giving YOU the highest level of customer service possible. I do ask though, that before sending us support email, please review the following answers to the frequently asked questions below. The answer you need will more than likely be there and it will help us to not get too bogged down with unnecessary support tickets. Please go to the Members Login Page. You can enter in your email address and click the “Send Password” button and you should be emailed your password right away automatically. Also, if you just purchased a product, sometimes it can take up to 30-45 minute for the system to update and register that product. So before you submit a support ticket please make sure you have waited at least that time. If that doesn’t fix your question, please submit a support ticket. Search your inbox for the following email address: support@tanyaaliza.com. Check your spam folder as sometimes messages can get stuck in there. If the message is not in your inbox or spam folder, please contact support and we will get you taken care of quickly. Customer service is our number one priority! We want you to be delighted with the support you need. Our support desk is being constantly monitored Monday thru Friday from 9am to 5pm Eastern time. We do monitor incoming support tickets on Saturdays however the response time will vary and it is possible you may not have an answer until the following Monday. If you're having problems accessing your products we are here to help. If you weren't able to find your answer in the FAQ's above, simply submit a support ticket by sending an email to Support@TanyaAliza.com and we will get you taken care of fast. However, please note.... THE SUPPORT DESK EMAIL IS ONLY FOR BILLING AND SITE TECHNICAL QUESTIONS, IT IS NOT FOR GENERAL MARKETING QUESTIONS. 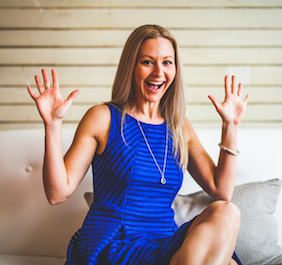 PLEASE CONNECT WITH TANYA ON FACEBOOK OR IN OUR FACEBOOK GROUPS TO DIRECT YOUR MARKETING QUESTIONS THERE. PLEASE NOTE: It can take up to 24 - 48 hours for my team to respond to any support tickets you submit depending on our ticket volume. Almost always we will respond quicker, but just in case please understand if we don't get back to you right away its not that we are not trying. I care about you and I care that you get the most from my products and you have my assurance that I take my support and customer service seriously. Appreciate you and your business.